Home » Congratulations Mendoza Family! Posted by HFHRiverside in New Builds, Riverside | Comments Off on Congratulations Mendoza Family! On Christmas day 2013, the Mendoza family’s sense of stability, normalcy, and peace was stripped away as their rental home was burned to the ground. Unable to afford a place of their own, a friend offered to take them in until they got back on their feet. Thanks to the support from Thrivent, the family now has the opportunity to start over. 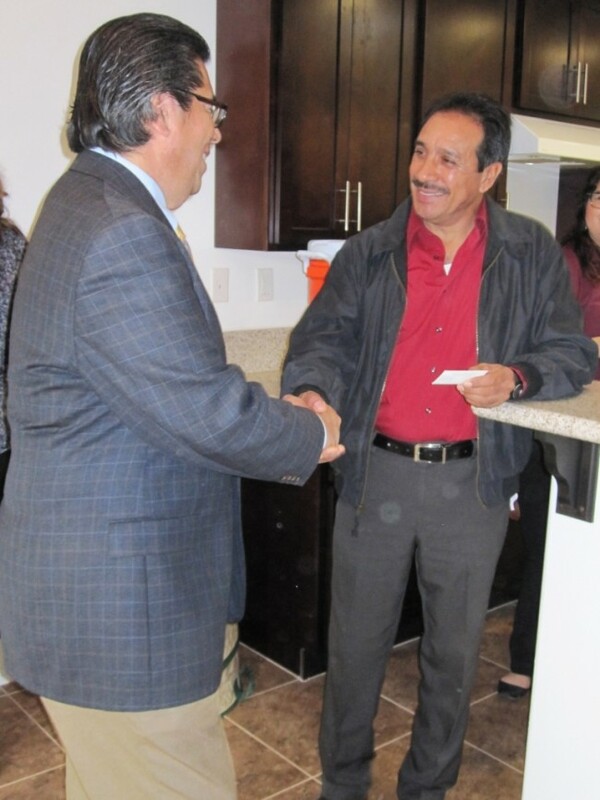 On Friday, January 22nd, Habitat for Humanity Riverside dedicated a safe, decent, and affordable home to the Mendoza family. 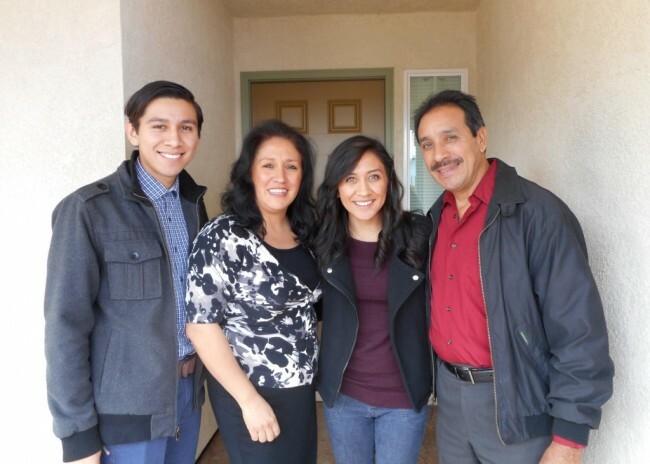 The Mendoza family knows that their new home will be a great start toward getting back to a normal life. The family was pre-approved to purchase the home based on income, decent credit, need, and their willingness to partner with Habitat for Humanity Riverside. 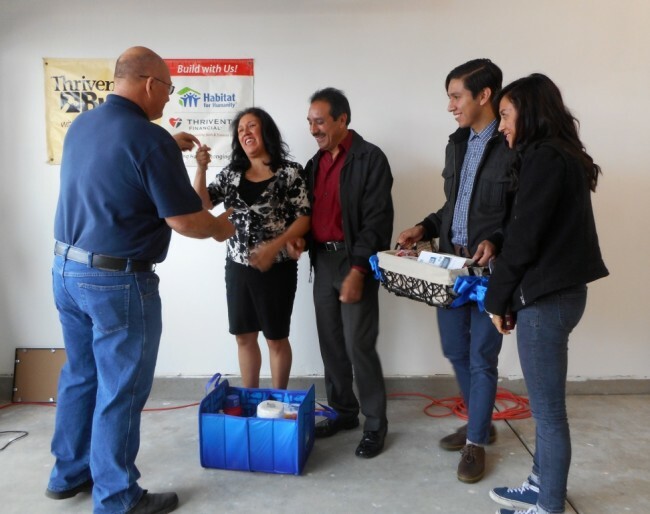 Part of the family’s willingness to partner includes “Sweat Equity” hours, where families volunteer at least 500 hours on Habitat for Humanity Riverside projects, in the Riverside ReStore, and in financial literacy and home buyer education classes. 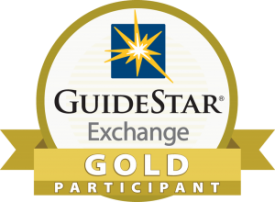 The Mendoza family not only met the requirement, they more than exceeded it! They are an incredibly hard working family, always willing to lend a hand when needed. 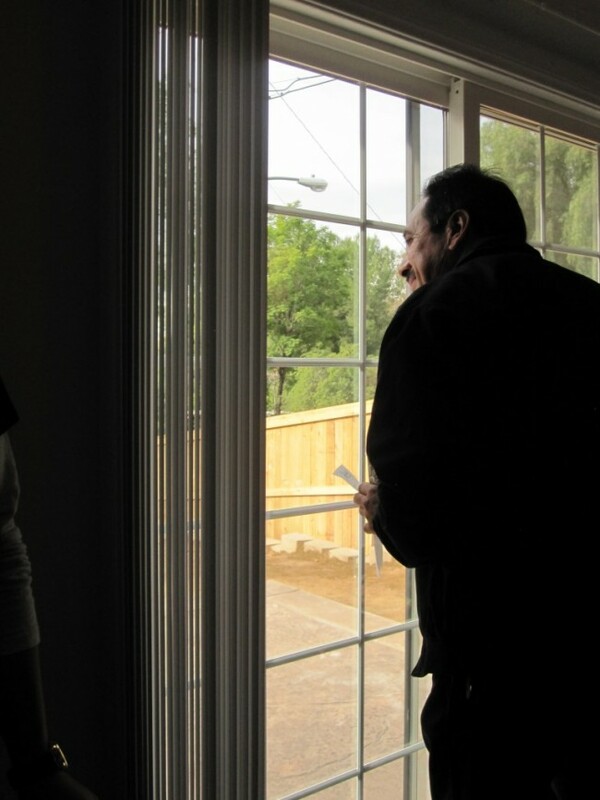 In building their home, the Mendoza family found help from 91 Thrivent Builds and community volunteers, many of whom have never done construction work before in their lives. These volunteers have completed over 400 hours toward the construction of this home since it’s wall raising on October 3rd. Volunteer projects included raising the walls, caulking, cleaning, installing baseboards, and painting. 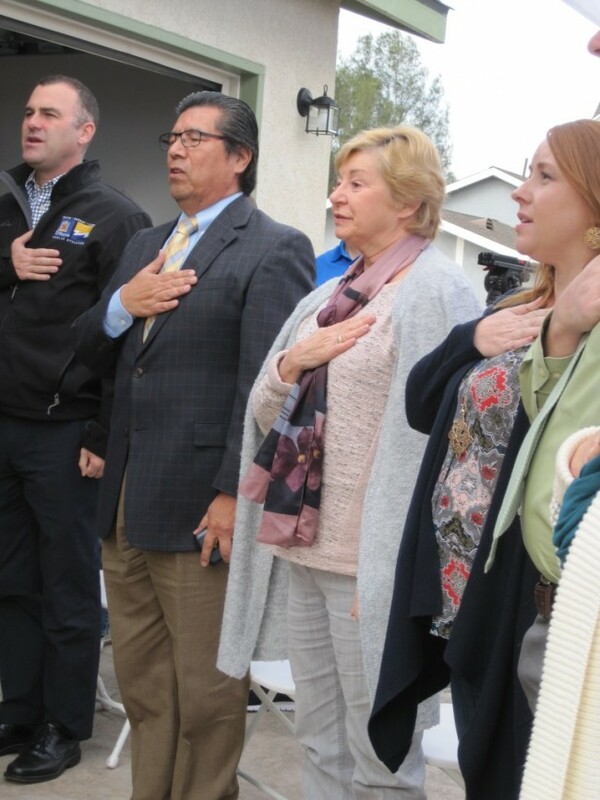 Our dedication was opened by Habitat for Humanity Riverside Executive Director, Kathy Michalak and Board Vice President, Nick Adcock. 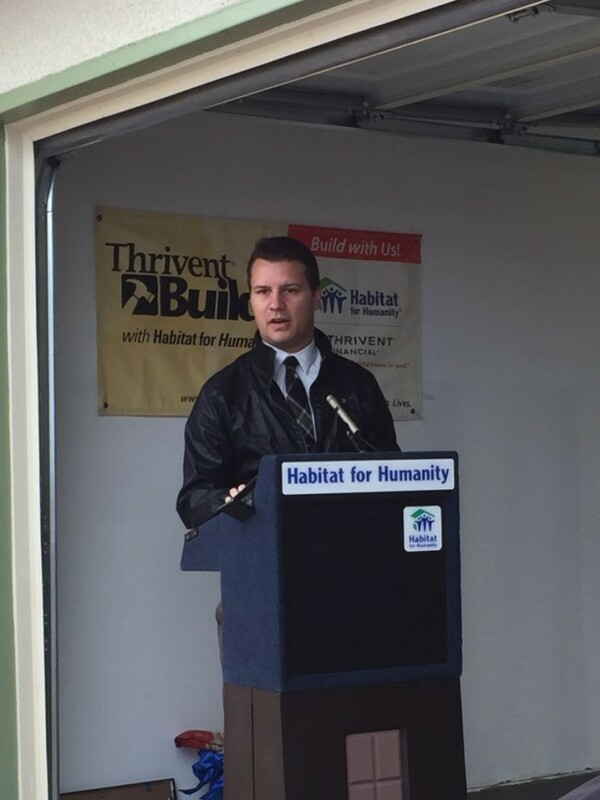 Remarks were given by Habitat for Humanity Riverside Board of City of Riverside Mayor, Rusty Bailey; Ward 2 Councilmember, Andy Melendrez; and Thrivent Financial associates Ian Foreman and Tara Walker. Habitat Riverside Board of Directors members Lynette Anthony, Nick Firetag, and Nick Adcock presented the family with a Bible and a basket of goodies. Habitat for Humanity Riverside Construction manager, Mike Kreiser had the pleasure of presenting the family with the keys to their new home… he only teared up a little bit! The home was then dedicated and blessed by Reverend Alfred Gracie. A special thank you to KNBC 4, The Press Enterprise, and Telemundo 52 for coming out to cover the event. For the tenth consecutive year, Thrivent Financial has committed to stabilize, strengthen, and secure communities through its partnership with Habitat for Humanity. 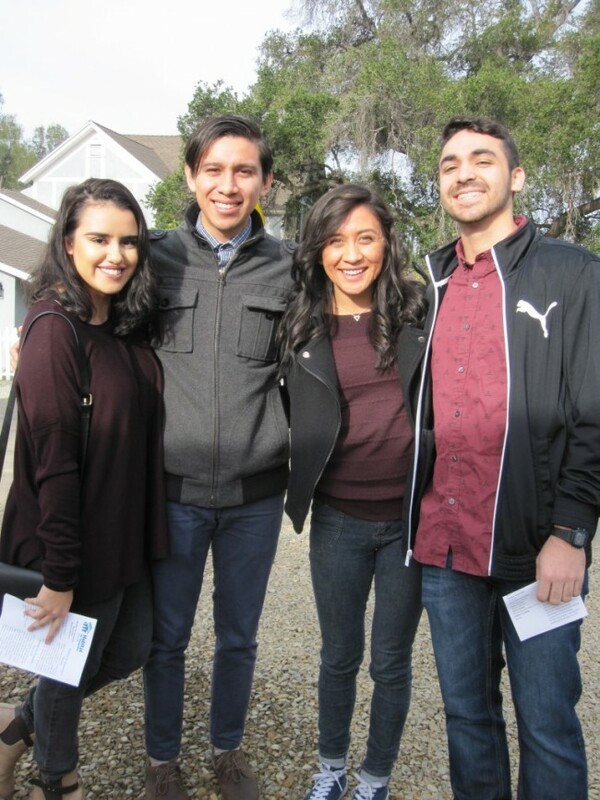 In 2015, they funded the construction and rehabilitation of 121 Habitat for Humanity homes nationwide, including the Mendoza’s new home in Riverside. This post was taken from our Summer 2016 Newsletter, for more stories like this, or to read the complete newsletter, click here!